"Titan" is an impressive large black and red male with a strong head, large bone and distinctive male characteristics. 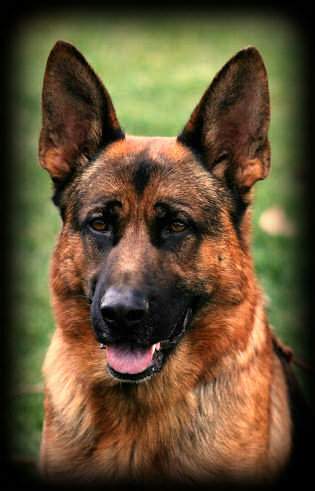 He was trained in Germany to a Schutzhund 2 title, was breed surveyed (KKL1). He was presented at the German Sieger Show (BSZS) and earned his SG Rating in the 18-24 Month Male class. He loves to go to the marketplace and especially enjoys all the attention he draws with his good looks. 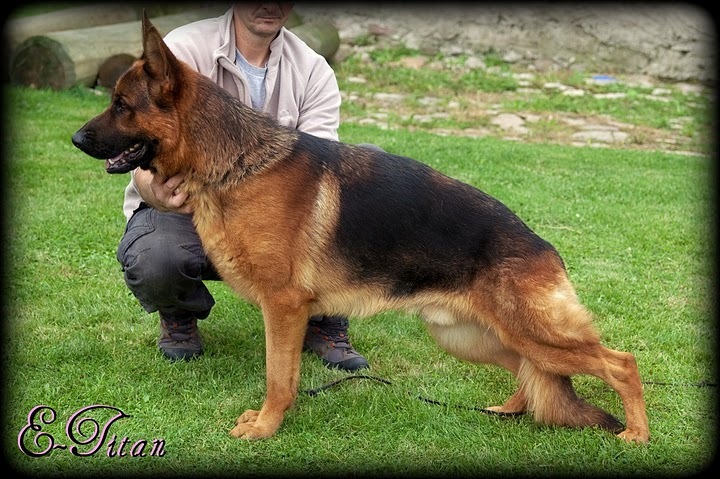 He is a great ambassador for the breed with his wonderful temperament. Titan received his Breed Survey and the excellent show rating of V2 under SV Judge William Nordseik. Titan received a great critique from the judge and received many comments from the spectators at the show, everyone is drawn to his gorgeous, masculine head and outstanding structure.